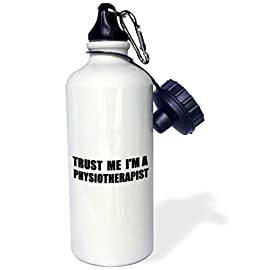 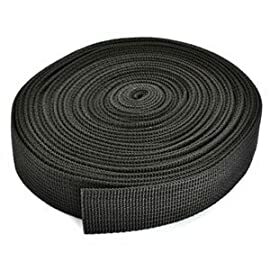 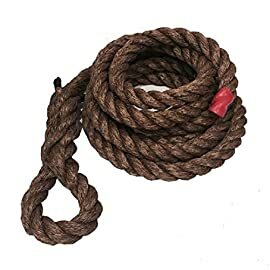 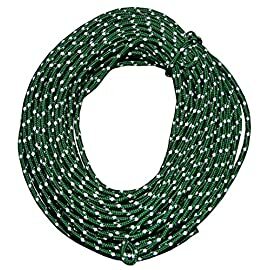 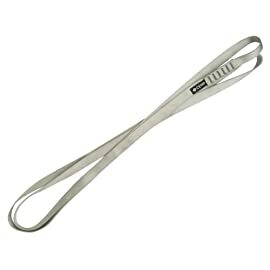 1.HIGH QUALITY: CE Certified, Weight limited:230KG.Made of durable polyester with a reinforced tie-in point and stitching, Tension:15KN, Impact force:6KN; All the connections and webbing are very sturdy with reinforced ends. 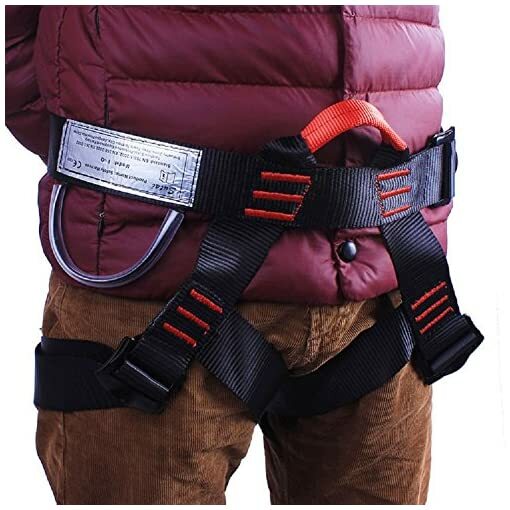 2.ONE SIZE FITS ALL:It fits a wide range of body sizes : waist 19.7″ to 48.5″ ; Leg 15.5″ to 29.5″ . 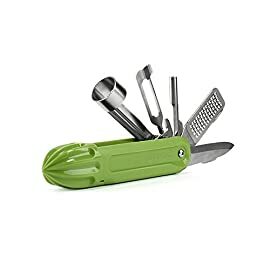 This makes it good for a family or for growing kids, where it needs to fit everyone at one time or another. 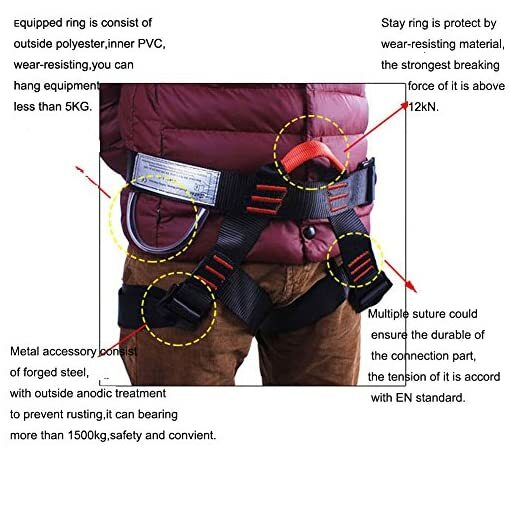 3.WIDELY USE: ideal for mountaineering and rock climbing, outward band, fire rescue. 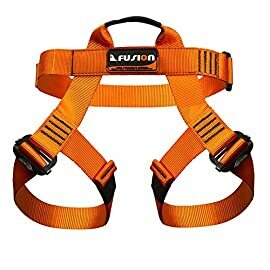 this harness will last even under high use conditions like a climbing gym or ropes course, you can also use it as a fall protection device while working on a steep roof. 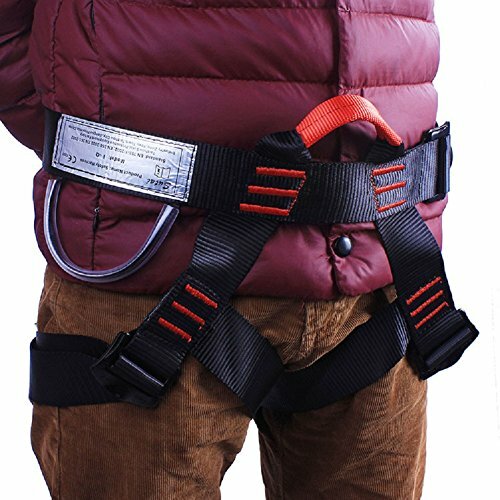 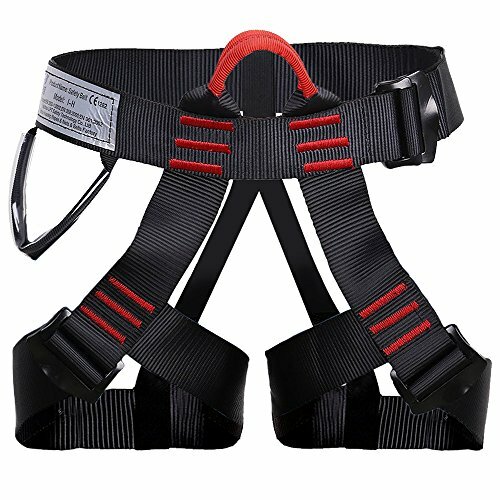 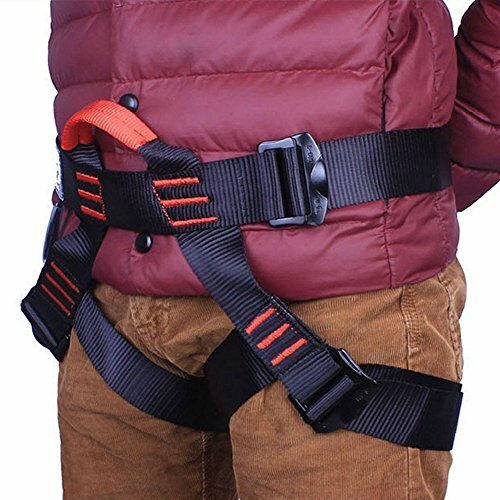 6.Product Description: as all the connections and webbing are very sturdy with reinforced ends, with a belt around the waist, to provide protection, interface using adjustable buckle, belt body length can be adjusted, to satisfy the using requirement, the whole static tension >15KN. 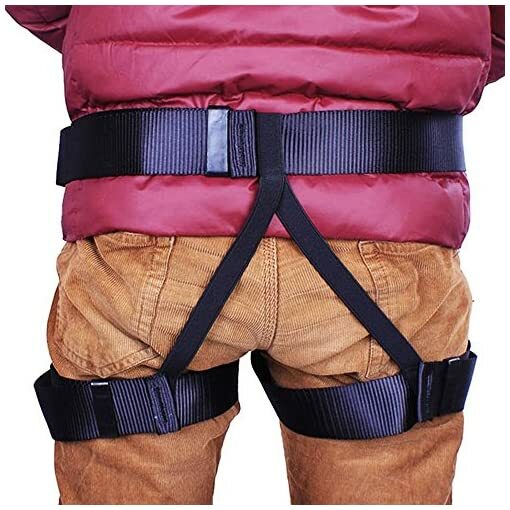 NOTE: As climbing is dangerous. 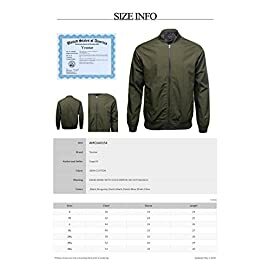 You are responsible for your own actions and decisions. Familarize yourself with this harness’s capabilities and limitations. Please have all equipment safety checked by a qualified professional prior to use. 4.FANTASTIC BEGINNER’S HARNESS:If you are just getting into climbing, or are doing occasional work from heights that would require a safety harness, this would be an excellent choice.We can guarantee that it will be the perfect starters harness until you know and find what you need. 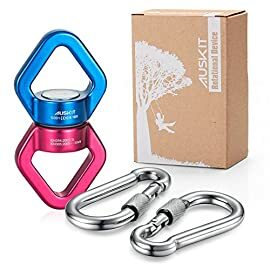 5.SUPER CONVENIENCE: easy to get on and off; Lightweight :17 oz ; and as it came with a nice pull string bag, it’s easy to carry with. 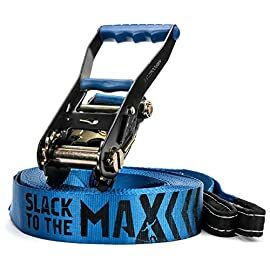 24 hours friendly customer service,1 year warranty. 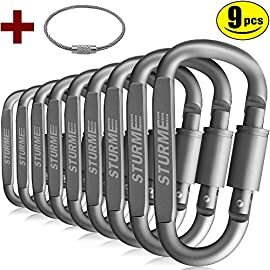 100% refund if there is any quality problem. 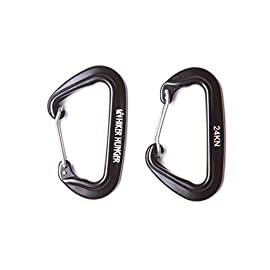 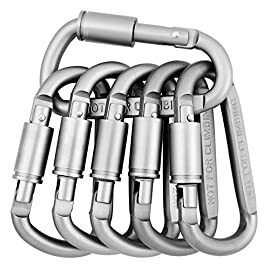 24 kN Wiregate Carabiners Rated 5,395+ lbs (Set of 2) – The Strongest Mini Aluminum Ultra Lightweight Biners – Best for Hammock Suspension, Camping Accessories, Keychains, & More!